370 meters of icy track, a 55 meter difference in altitude and jumps, which were up to 20 meters high, was the ultimate challenge for the best skaters of the world. On the 8. and 9. of January Munich hosted a winter sports spectacle of superlatives. 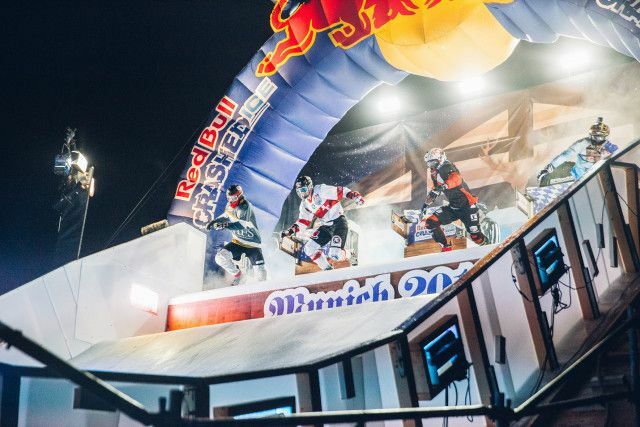 The Olympic mountain was the location for the second Red-Bull-Crashed-Ice-WM-run of the season. The athletes, who raced through an ice channel full of obstacles, had to give all they had as regards speed, perseverance and tactics. It was just the right environment for Jeep®. While the skaters went to the starting line, the audience could test out the off-road abilities of the newest Jeep® models at a special off-road parcours. This time again, VOK DAMS ensured the optimal positioning and exciting accompanying actions as well as professional car handling of the brand Jeep®.